Influenced by the beautiful spring weather in London, and with one eye on summer, I chose five men’s T-shirts to start a conversation. Simple but effective ‘70s New York-style T-shirt from Adidas http://t.co/yt1yA2o2 – From a new Originals range and £29. Can’t argue with the classic Obey face icon http://t.co/P4dEjJZB – This black shirt is £25 from Bond International @obeyclothinguk. Lovin’ this Run DMC-inspired Tee from Upper Playground http://t.co/CPK9zbIw – UK shop is on Kingly Street in London @londonwalrus. Didn’t get a ticket? No worries, grab this Olympics-inspired ‘Penna’ shirt http://t.co/ThvFqJVS – from Supreme Being £30. 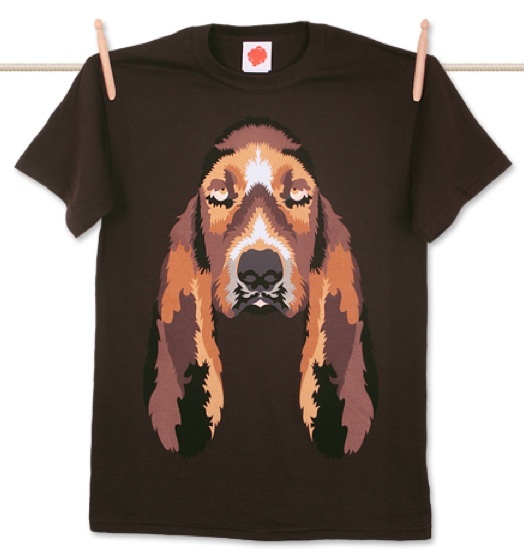 ‘Hound’ by @supersupertweet http://t.co/yZGPnBNO – Who could argue with a big eared dog on a brown T-shirt? Not me. Thanks @Steve_Kirk for your pick of 5 cool t-shirts – but which will claim today’s #GTopSpot? My favourite? ‘Hound’ by @supersupertweet – A great shirt from a top outlet with a variety of designers on their books.